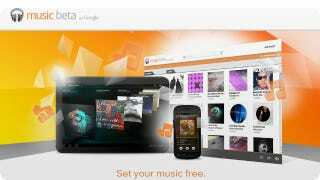 Will Google Music Launch Without 75 Percent of Major Labels? Google Music is supposed to launch tomorrow, but it is still hustling to ink deals with major record labels. According to Bloomberg, it's a high-wire act—Universal might even sign tomorrow. Cutting it awfully close aren't we Google? It has been rumored for some time that Google would flex its user base for leverage in negotiating deals with the major record labels, but this is crazy. Google has implied it would launch without all of the majors on board, but if today's report is true, it would mean that Google still hasn't signed deals with three of the four biggies—even as Google is set to launch something music related at a press event tomorrow.